Recently, I worked with The Petite Parade to showcase several of the clothing lines they sale in the store. 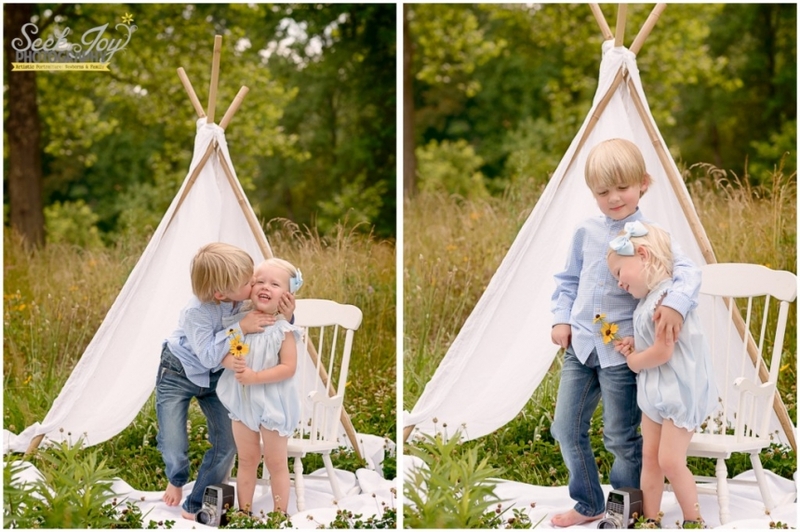 At this summer shoot, we had the sweetest brother and sister models with us. I decided to use a soft color palette of blue and white. This session took place in one of my favorite secret locations, a field with wild flowers, tall grass, and trees. 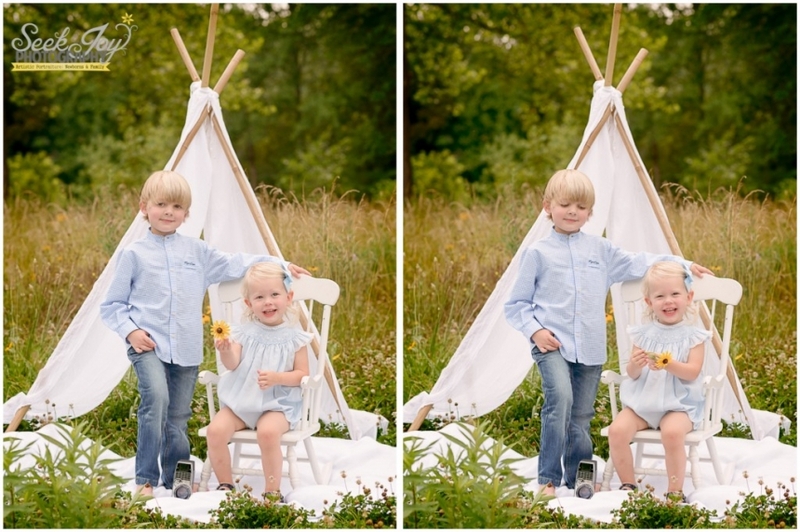 Fisher was an amazing big brother and even picked yellow flowers for his baby sister. If you are looking for amazing outfits for your kids, be sure to stop by The Petite Parade in the west end. If you are interested in scheduling a child session and want to discuss your concepts and ideas with Katie, be sure to contact her at 803-413-2427. 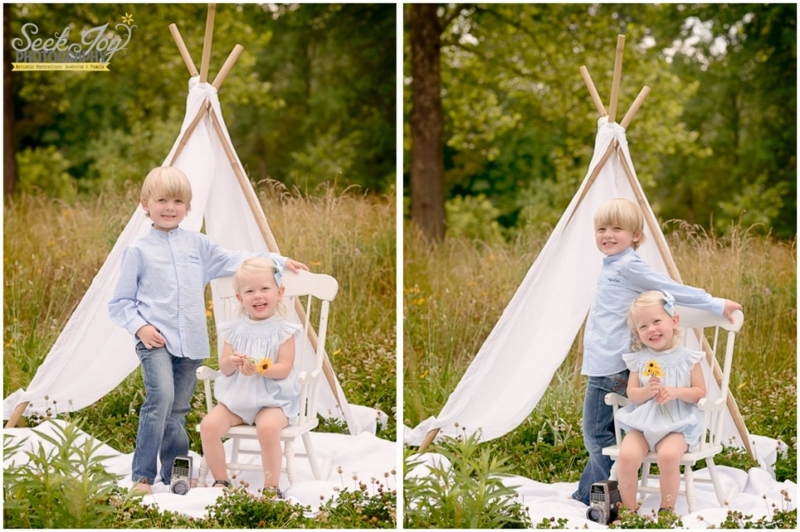 Now booking for Spring 2015 Children Photography Sessions in the Greenville area.